Reginald Wooding Jr, 22, was waiting in line to take his driver's exam at the MDOT Motor Vehicle Administration in Glen Burnie on Monday. 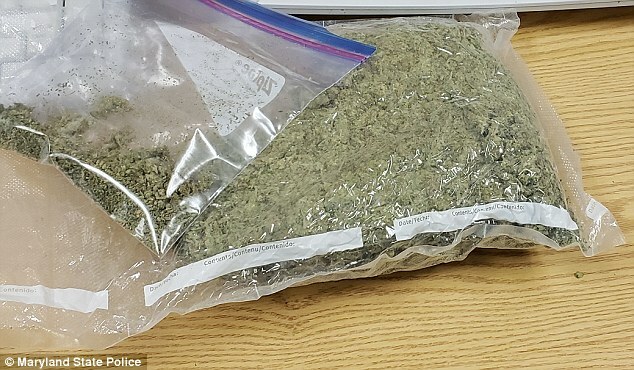 A driver’s license examiner became suspicious when she smelled what she thought was marijuana coming from the vehicle that was about to be used for the test, according to a statement released by the Maryland State Police. She reported her concern to a state trooper who was on-duty at the agency. The trooper then confirmed the strong odor of marijuana coming from the vehicle and investigated. 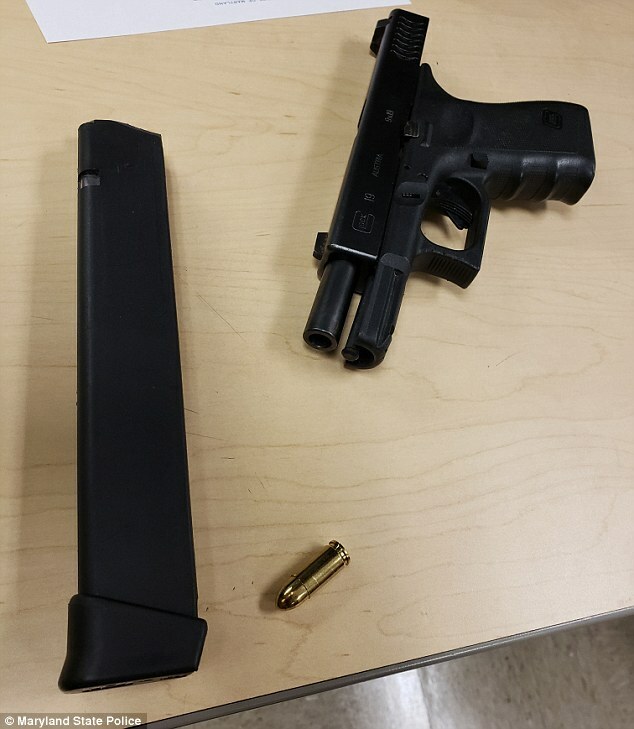 During a search of the vehicle, officers said they found nearly a pound of marijuana, a scale, more than $15,000 in suspected drug-related money and a 9mm Glock handgun with a loaded 30-round magazine. Officers then arrested Wooding at the scene before he could take his exam. 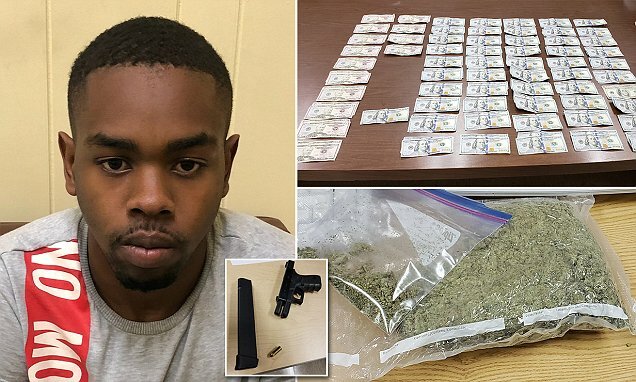 Wooding was hit with multiple charges, including engaging in a drug-trafficking crime while transporting a firearm, possessing a firearm during a drug-trafficking crime and possession of marijuana with intent to distribute. MSP Maj Greg Shipley said Wooding was using using his mother's car for the test and that he voluntarily handed over the marijuana. Shipley commended the driver's license examiner, saying 'an alert state employee who did the right thing'. Wooding was released on a $7,500 unsecured bond. 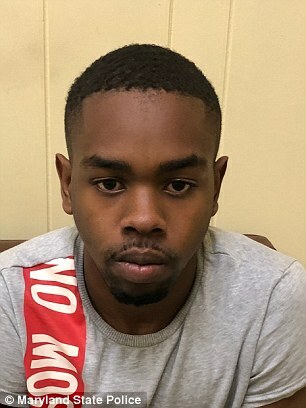 He is set to appear in court in September. It's unclear if his mother will face any charges. This is a very bright guy; move to the head of the class, lol. He is so bright, he alone can light up Broadway. If his IQ was one point higher, it would be the same height of a handball. Even a mosquito would not have done anything the brainless. I guess he just uses his head for a head-rack. That is what my grandmother called" arrogant stupid".. so young and out-of-touch believes that he wouldn't get arrested but carrying that stuff in the car. Just a special kinda stupid!! The weed look like junk. I feel sorry to certain type types of stories, some like these, No matter who.